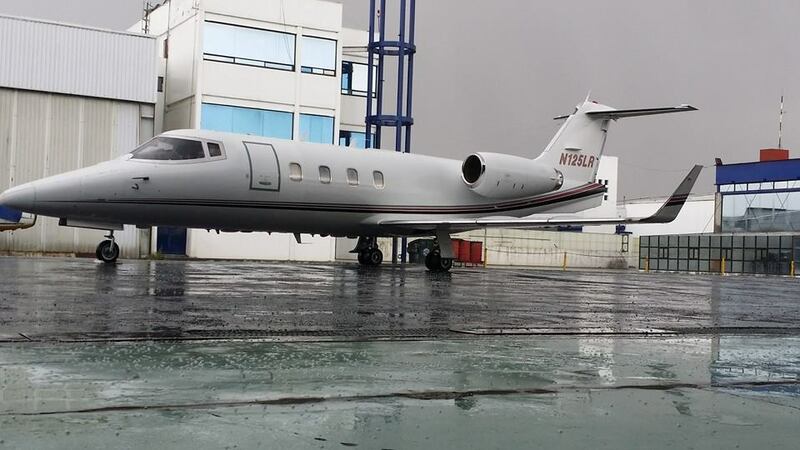 Air Ambulance service leader in Latin America, Mexico and the Caribbean, Jet Rescue, is setting a new standard in patient safety, comfort and care with the introduction of a Learjet 55 dedicated to air ambulance service. As Jet Rescue´s latest innovation, the Learjet 55 offers patients a spacious cabin accommodating the medical team, up to two patients and two family members. This air ambulance service jet is equipped with the latest critical care equipment such as the new Propaq MD and the Drager Oxilog 3000 ventilator. “Having a stand-up cabin and enclosed lavatory is important for our clients and crew when flying long distances,” says Carlos Salinas, President and CEO of Jet Rescue Air Ambulance. “With a focus on patient care and safety, we continually look for opportunities to improve the air ambulance industry especially in places medical care is not as developed; such as Mexico and South America. The Learjet 55 further elevates the level of service Jet Rescue offers its patients and clients. The high-altitude capabilities and extended range allow for smoother flights with fewer stops, which is vital to the critically ill and injured patients who are transported. “The Learjet 55 will be the air ambulance aircraft in our fleet’s future,” says Salinas. The Learjet 55 has the latest flight management system technology as well as additional passenger comforts such as an on-board lavatory, additional luggage space and seating for a family member. The aircraft is also equipped with dual stretcher capabilities. Jet Rescue Air Ambulance is the first air ambulance company in Latin America to own and operate a Learjet 55 for dedicated air ambulance service. This air ambulance is based at Mexico City Airport (MMTO) currently undergoing avionics upgrade to have worldwide capabilities, new paint and new interior.We expect to have it operational in a couple of months . This entry was posted on April 2, 2014 at 8:26 pm and is filed under Air Ambulance, Air ambulance Acapulco, Air ambulance Cancun, Air Ambulance Caribbean, Air Ambulance Central America, Air Ambulance Huatulco, Air Ambulance in Mexico, Air ambulance Los Cabos, Air Ambulance Mazatlan, Air Ambulance Puerto Escondido, Air Ambulance San Miguel de Allende, Air Ambulance South America, Costa Rica Air Ambulance, Latin American air ambulance, Medical Evacuation Caribbean, Medical Evacuation Central America, Medical evacuation LAtin America, Medical evacuation South America, Worldwide Air Ambulance service. You can subscribe via RSS 2.0 feed to this post's comments.